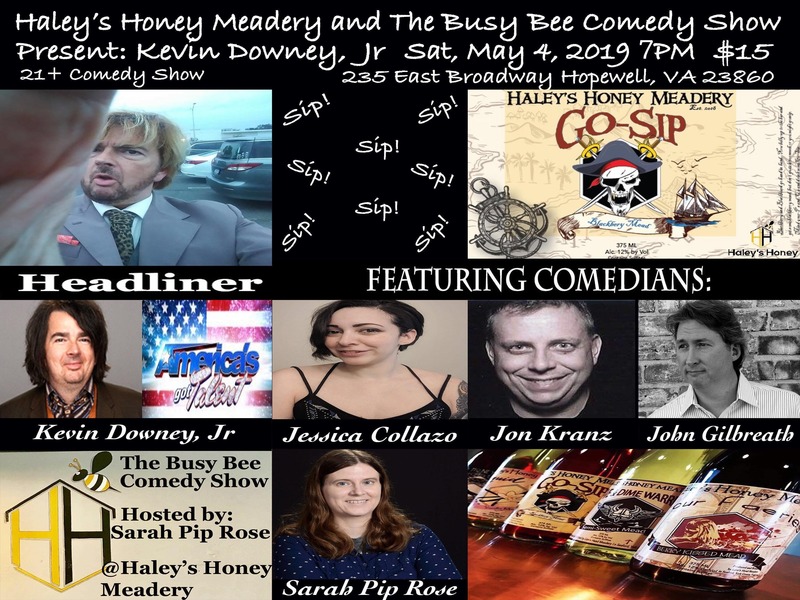 Haley’s Honey Meadery is Co-hosting with Sarah Pip Rose Busy Bee Comedy Show with 5 outstanding Comedians. Tickets are required for this show. Don’t miss this once in a life time adventure. Kevin Downey Jr. was a stand-up comedian in Season 8 of America’s Got Talent. He was eliminated in the Quarterfinals.